Behind the scenes tours of Fiserv Forum will be available to the general public beginning on Friday, April 19. Reservations can be made starting today at Bucks.com/FiservForumTours. Led by guest services staff, the 90-minute walking tours are an opportunity for fans to get an exclusive look at Fiserv Forum and to learn more about the Bucks’ storied past and monumental present. Patrons can expect to visit areas of the arena, including the floor of the bowl, the Bucks locker room, the green room used by show talent, the interview room, West Bend Lofts, and the Panorama Club. 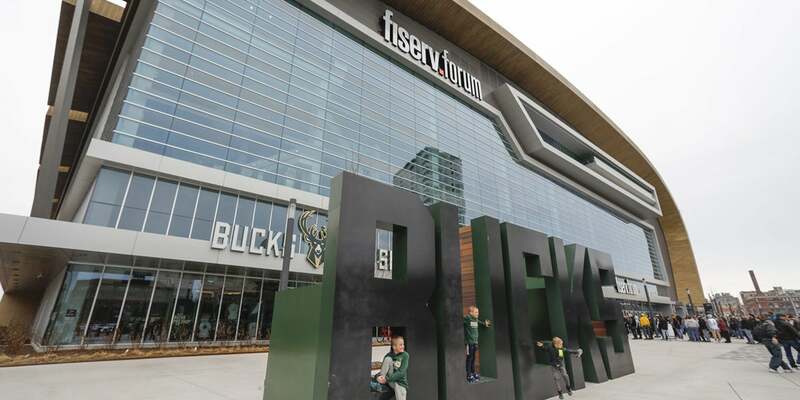 “The guided tours will offer the chance to see spaces that are typically unavailable for spectators and to discover the many details of what has already made Fiserv Forum famous,” said John Steinmiller, Fiserv Forum Executive Vice President of Operations.